His daddy teaches the class (Josh is a brown belt who should be a black belt but just never seemed to be available when the testing was taking place!) So as you can see, he is very excited – the photo on the right was taken just before Elijah’s first class. 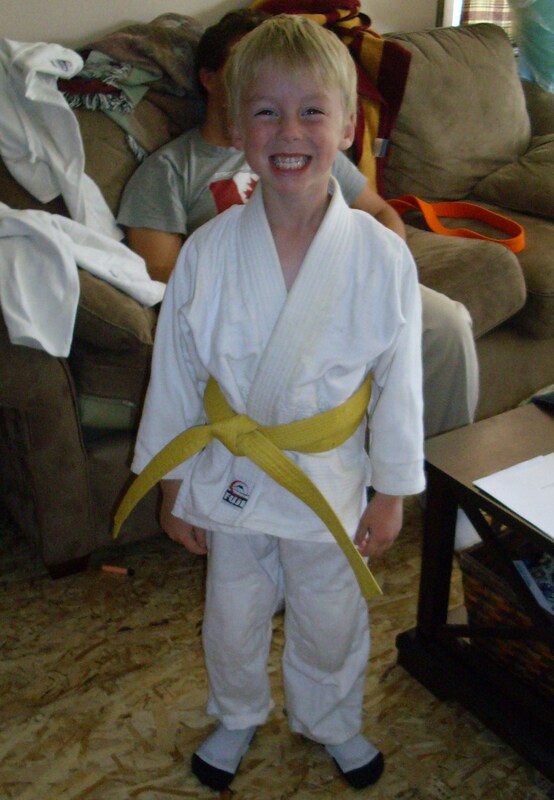 When Josh and I were dating he whisked me off to Buffalo for a day – to watch a judo tournament he was participating in. I have to be honest and say I couldn’t even watch one match – the fighting and the aggression and the drama were all too much for me! I wondered what I’d gotten myself into dating this jock who felt comfortable pummelling people on a regular basis! I have calmed down alot since then, and Josh has really had to explain to me the ways of men because I just DO NOT get it sometimes. 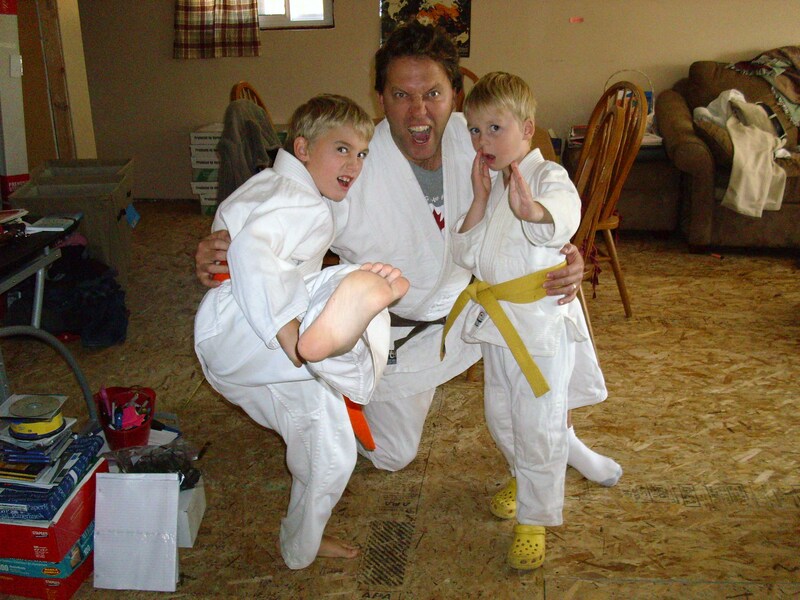 I have relied heavily on his expertise in raising our own two young men! 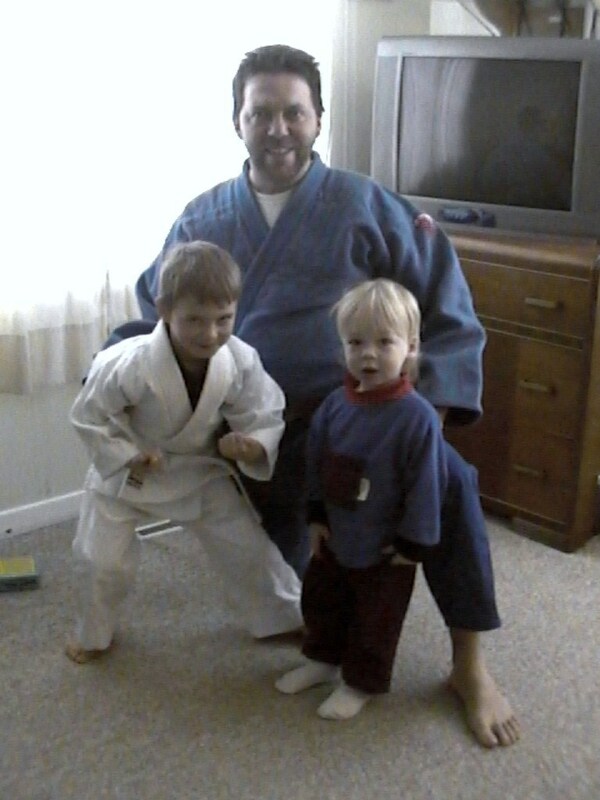 And now here’s the three judo men. 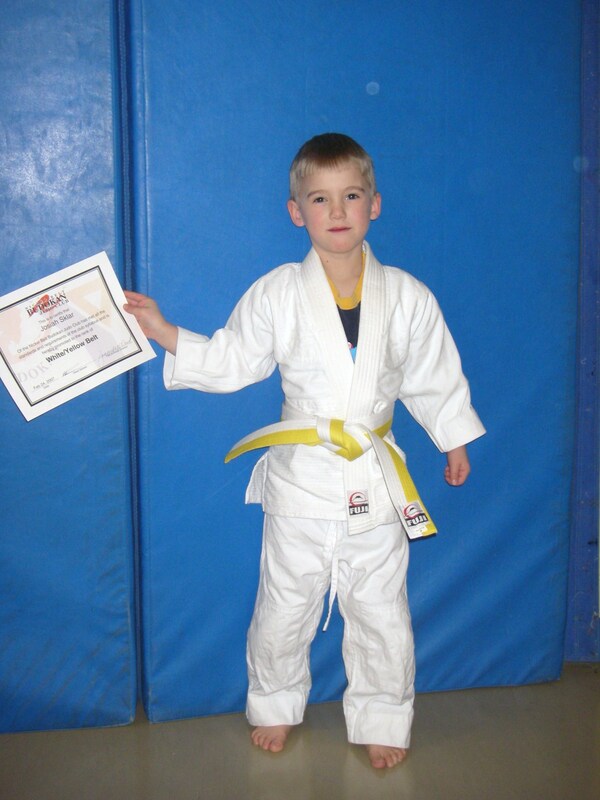 Josiah is the highest belt in the class and I am very proud of the way he has stuck it out even when he was discouraged. I’ve watched him grow into an excellent student, and an excellent leader in the class. He has a way with younger children and it shows through every week. 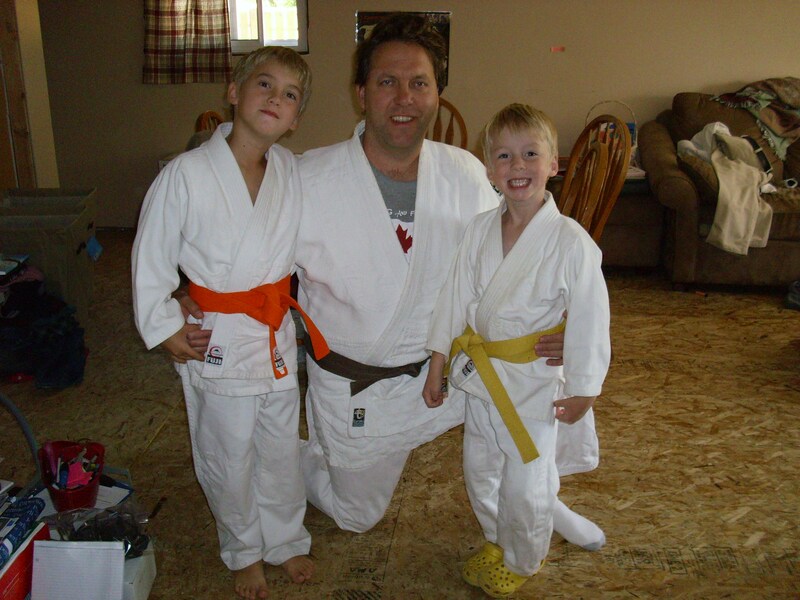 I am able to go with them to judo now, since Elijah is old enough to go. I am able to watch them learning, laughing, playing and enjoying this sport that 4 generations of Sklar men have come to enjoy. Josh repeatedly asks me to join them on the mats, but I just don’t want to go there, it’s just nowhere in my nature. Now I DO know how to count to ten in Japanese, just by listening in on the class – so I have learned something!